Satnavs caused more than £200m worth of vehicle damage in the last year and with over three quarters of users misled, our digital roadmap advisors are literally driving us up the wall. 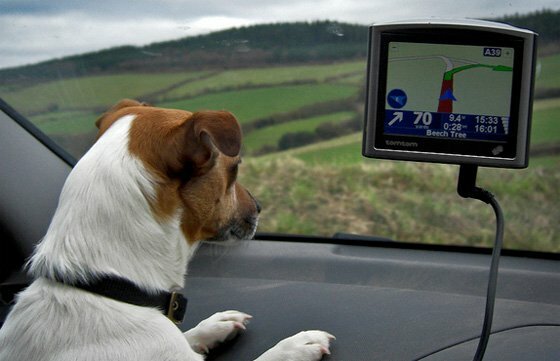 Motorists blamed satnavs for £203m of damage over the last 12 months, claims Confused.com, which polled 2,000 drivers. While 83 per cent reckon they were misled at some stage and 68 per cent said they'd made unnecessary journeys, only half had lost their rag, screaming at their satnavs. How very composed of you all. The research also shows women are more likely to get angry with their satnav than their male counterparts, with drivers in the East Midlands more prone to tech-rage than anywhere else. The happiest of the bunch were from Northern Ireland, while Scots were the most likely to be misled. We've all heard stories of satnav users driving directly into buildings, but according to Transport Minister Norman Baker, the problem stretches beyond individual incompetence. "All too often out-of-date directions mean misdirected traffic - a scourge of local communities and an annoyance for drivers," he said.